It’s fair to say that the UK boasts some truly astonishing countryside walks, experiences and views! Within the United Kingdom, of course, we have Wales, England, Northern Ireland and Scotland all enforcing rules and regulations to promote desired behaviour under the ‘catch-all’ banner of the ‘Countryside Code‘. These rules are put in place to help us have a safe, relaxed and enjoyable experience when out and about in rural locations. Exploring each of the above, in a little more detail, can serve as a reminder of some of the important actions we can all take to make sure we protect ourselves, those around us and, of course, the environment itself! Think carefully how your actions – no matter how innocently undertaken – may damage trees, hedgerows, walls, heritage or ruins. Also, do remember that damage to walls and hedges, over time, can result in ‘gaps’ that allow farm animals to escape. Do leave gates exactly as you find them! (If a farmer has left a gate open, this is probably for a good reason!) Always leave an opened gate open and, similarly, make sure you close a gate that you found closed as you approached it. Gates might be left open for farm animals to have access to vital supplies of drinking water and, if a gate is closed by mistake, there could be tragic consequences for thirsty animals. For example, some breeds of cow may die after just one day without drinking water! One more important point – if you are part of a group walking through a gate, make sure the last person, at the back, is told whether to leave the gate open or closed behind them! Camp fires can result in much larger fires, that can quickly get out of control, (especially in very dry weather), if you do not manage them well or put them out properly! Similarly, discarded matches and cigarette butts can have the same effect! Landowners often manage plantation with controlled fires between 1st October and 15th April, but any unattended fires that seem to be out of control should prompt you to phone 999! You – and yours- should never leave litter or picnic/food remains in the countryside! Not only does this affect the appearance of our beautiful landscape, but some foodstuffs can poison wildlife and of course some animals can get stuck in bottles and containers as they forage for food, often with terrifying consequences. They may suffocate! Unless you are confident that your roaming dog will run back to you as soon as you call its name, it is better to leave it on its lead. Other people may have a fear of dogs and being approached by even a friendly pooch may spoil their outing. Always be aware that in certain types of undergrowth, particularly in very hot weather, there is always a danger that playful dogs may disturb sleeping adders and a bite from these snakes has been known, sadly, to kill dogs! Also remember that a farmer does have the right to shoot a dog which may be attacking or chasing farm animals! It’s also important to keep dogs on leads when out walking during bird breeding seasons, (e.g. on coastal paths), to avoid causing problems for these birds. Naturally, our dogs can become excited as they explore, upsetting birds and their young. The golden rule is to carefully read any signage that offers specific instructions relating to dogs. Please, please, make sure doggy mess is always picked up. (Bag it and bin it!) It’s certainly not nice to see it or indeed walk through it and, of course, children playing innocently in the countryside can suffer serious consequences to their health, should they come into contact with it! As you stroll along paths that take you through fields, you and your dogs may, on occasion, be approached or even chased by horses or cows that are protecting their young and perhaps feel threatened. 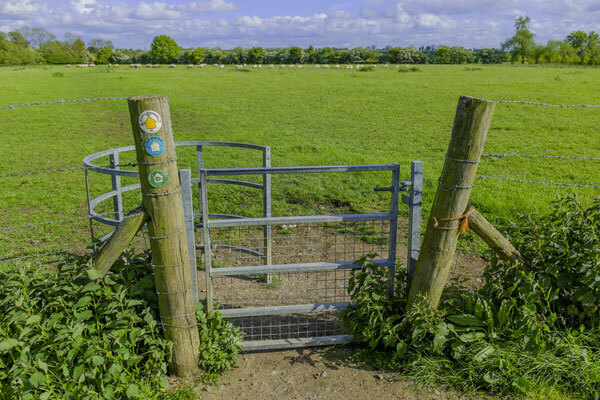 Do seek advice from appropriate authorities such as the HSE or Farmers Unions, who can offer suggestions and guidance for keeping safe when walking amongst farm animals. Wherever possible, try to keep noise to a minimum, enabling you to thoroughly enjoy the delightful sounds of the countryside. This also ensures that you won’t spoil the enjoyment of others too! 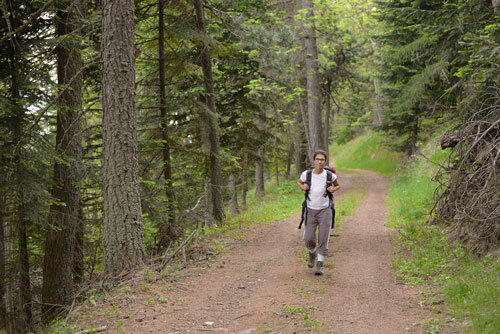 Be prepared for all types of dangers when out walking, so that your overall enjoyment won’t be spoiled. Weather can change very quickly so wearing the right clothing is vital. Also, do watch out – in some places – for wild animals or snakes and, although rare, any bites or scratches may require urgent treatment. If walking on the coast or on a beach, do make sure you know the tide times. Do make sure you equip yourself well with the correct layers of clothing, socks and of course walking boots. If however you’re not sure what to wear, for any particular occasion or event, always seek appropriate advice from a reputable retailer. And finally, if we all play our part, not only are we protecting our wonderful rural scenery for our own enjoyment but we are doing so, hopefully, for many future generations to enjoy for many years to come! So, do have some great experiences when out and about in the countryside – and most importantly… enjoy yourself! The threat of ticks – tick toc! Can’t see the ‘woods’ for the ‘trees’!